Henighan, Stephen. "Centennial Literature ". The Canadian Encyclopedia, 05 October 2015, Historica Canada. https://www.thecanadianencyclopedia.ca/en/article/centennial-literature. Accessed 23 April 2019. The 100th anniversary of Confederation in 1967 coincided with a period of self-definition and national assertion that consolidated national literary institutions and produced works that explored national identity. Centennial celebrations focused on the Expo 67 world’s fair in Montréal, which attracted 50 million visitors over a six-month period. Reporting on Expo 67, the Paris newspaper Le Figaro concluded that “Canada has attained adulthood.” A feature article in Time magazine announced, “Canada Discovers Itself.” The increasingly firm contours of Canadian identity inspired writers to dramatize both the richness and the cultural fissures of Canadian society. In 1967, Canada’s largest city, Montréal, incarnated the English–French dualism that was most often cited as the defining feature of the national identity. Significant works of fiction published in 1967 addressed the theme of linguistic dualism; the authors of these works, even when born elsewhere in the country, had moved to Montréal in order to locate themselves at the centre of cultural debate. One of the most controversial books of 1967 was Place d’Armes: A Personal Narrative by the Toronto-born writer Scott Symons. The fragmented, stream-of-consciousness monologue of a narrator who scours Old Montréal for an understanding of Canadian identity, Place d’Armes alludes insistently, albeit with corrosive irony, to figures and institutions of Canadian history from the 17th century to Expo 67. The narrator is divided between allegiances throughout: English and French, Protestant and Catholic, Toronto and Montréal, heterosexual and homosexual. The urge to uphold a narrative of national unity is incessantly unravelled by the temptations offered by revolutionary Québec nationalism and gay liberation. Place d’Armes followed in the footsteps of Montréal-born Leonard Cohen's surrealist novel Beautiful Losers (1966). Cohen’s brilliant novel also employed textual fragmentation as a strategy to integrate the disparate cultural threads of Canadian identity. Its canvas was wider than that of Place d’Armes in that the work’s love triangle among two white men, a First Nations woman, and the 17th-century Mohawk saint whom one of the men is researching embraces English, French and Aboriginal peoples, the Catholic, Jewish and Protestant religions, an unabashed bisexuality and vivid portraits of Québec nationalist agitation. McGill University professor Hugh MacLennan, originally from Nova Scotia, was regarded as Canada’s most important novelist. 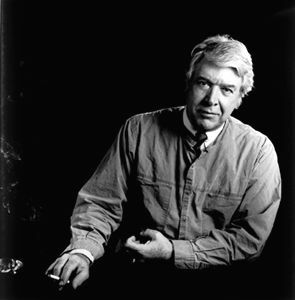 MacLennan provided a dour interpretation of Canadian dualism in his 1967 novel The Return of the Sphinx. Characteristically ambitious in its attempt to encapsulate Canadian identity, The Return of the Sphinx was both politically and aesthetically conservative. Drenched in pessimism about Canada’s future — and thus out of step with the ebullience of the Centennial year — the novel earned MacLennan the most hostile reviews of his career, initiating a long-term decline in his literary reputation. The central conflict pits an idealistic, nation-building father in the 1960s against his nihilistic son, who joins a violent underground movement. MacLennan’s novel revoked the optimism of his classic Two Solitudes (1945) by predicting that anglophone and francophone Canadians would be unable to live together. A more lyrical evocation of Montréal during the centennial year appeared in Around the Mountain: Scenes from Montreal Life (1967) by Hugh Hood, a writer who had moved to Montréal from Toronto. The book’s 12 stories, alluding to the 12 months of the year and 12 neighbourhoods of Montréal, delight in local traditions such as hockey and the Montréal habit of moving to a new apartment each year. Québec nationalism and bicultural misunderstandings are recounted in a droll, indulgent tone permeated by an optimism rooted in Hood’s Catholic faith. Underlying the book’s architecture is the assumption that, by itemizing Montréal life, the narrator is capturing the essence of Canadian identity. For francophone writers, Centennial celebrations did not awaken any awareness of Canadian identity. The ongoing rediscovery of Québec history, the refinement of a distinctively Québécois idiom of literary French and the modernization of a society long dominated by the Catholic church, which had characterized Québec literature and culture since the 1959 onset of the Quiet Revolution, continued without overt reference to the centenary. Major works of Québec literature published during the Centennial period include Réjean Ducharme’s L’Avalée des avalés (1966), which narrates a young girl’s tormented adolescence in a startling, punning prose that earned the book a nomination for France’s Prix Goncourt; Jacques Godbout’s Salut Galarneau! (1967), which rehabilitated spoken Québec French as a literary language; and Marie-Claire Blais’ Les manuscrits de Pauline Archange (1968), which explored the effects of a religious upbringing during the pre-1959 period. All of these books take place in interiorized worlds whose references are purely Québécois, excluding any pan-Canadian consciousness. Centennial events were enthusiastically attended in the Prairie Provinces and British Columbia, but the project of national self-realization was largely resisted by the literary culture. The most influential literary movement in Western Canada during the Centennial was the TISH poetry group in Vancouver, which concentrated on the poet’s aesthetic awareness, emphasized common ground between Canadian poets and those in the United States, and was hostile to Canadian nationalism. The Malahat Review, founded in 1967 at the University of Victoria by the English professors Robin Skelton and John Peter, was subtitled “An International Magazine of Life and Letters” to signal its dissidence from national preoccupations. In the 1980s, the Malahat Review dropped this subtitle, concentrated more on national themes and developed into arguably Canada’s most influential literary journal. Literary nationalism in Toronto during the Centennial focused on the consolidation of distinctively Canadian literary institutions and on the differentiation of Canadian history and culture from those of the United States. Oxford University Press of Canada, based in Toronto, celebrated the Centennial with the publication of the Oxford Companion to Canadian History and Literature. During the Centennial year, the writers Dennis Lee and Dave Godfrey founded House of Anansi Press to satisfy their “desperate anger” at the neglect of Canadian literature and history. The press published young writers such as Margaret Atwood and Michael Ondaatje, who would become the two most salient symbols of Toronto’s rise to centrality in Canadian literature. Though rooted in their city, Anansi writers assumed pan-Canadian themes. Atwood’s poetry collection The Circle Game (published by Contact Press in 1966 and reprinted by Anansi in 1967) included poems that evoked the Canadian Arctic and praised the Canadian Pacific Railway’s physical unification of the country. One of Anansi’s first successes, prepared in 1967 and published in January 1968, was the notorious Manual for Draft-Age Immigrants to Canada, which explained Canadian laws, history and culture to young Americans who wished to avoid selective service in the Vietnam War. Including chapters with titles such as, “Yes, John, There Is a Canada,” the Manual sold 25,000 copies in its first few months of publication. The nationalism that distanced Canada from the United States coexisted in Anansi’s publishing program with the commitment to perpetuate the definition of the country in terms of English–French dualism. Spurred by the goal of making Canadians aware of both of their linguistic and literary traditions, Anansi became one of the first presses to translate Québécois fiction on a regular basis, enjoying particular success in promoting the novels of Roch Carrier. Coach House Press, founded two years earlier than House of Anansi by Stan Bevington, a printer who had moved to Toronto from Edmonton to print reproductions of the new Canadian maple leaf flag, also incarnated the consolidation of Toronto as anglophone Canada’s literary centre. Renowned for its innovative printing techniques, Coach House was praised for its publications of the avant-garde poet bpNichol and of Michael Ondaatje’s poetry collection The Dainty Monsters (1967). Bevington eventually published many of the poets associated with the TISH movement, and maintained a distance from House of Anansi’s nationalism. Coach House and House of Anansi joined older Canadian-owned publishers, most notably McClelland & Stewart Inc., whose logo bore the claim “The Canadian Publishers,” and institutions such as Robert Weaver’s CBC radio program “Anthology,” in strengthening and diversifying Toronto’s literary infrastructure. The Centennial celebrations were the high-water mark of Montréal as Canada’s literary and cultural centre, and of English–French dualism as the defining trait of Canadian identity. After 1967, Toronto, far more than Montréal, became the city to which younger writers moved. The federal government’s adoption of the policy of multiculturalism in 1971 would refocus Canadian identity around ethnic diversity, giving Toronto and Vancouver strong claims as centres of national cultural debate. The victory of the Parti Québécois in the Québec provincial election, on a platform enshrining the legal primacy of French over English, occurred in 1976, the year in which Toronto’s population surpassed that of Montréal, decisively shifting the centre of Canadian literary activity to Ontario. Margaret Atwood, The Circle Game (1967); Marie-Claire Blais, Les manuscrits de Pauline Archange (1968); Leonard Cohen, Beautiful Losers (1966); Réjean Ducharme, L’avalée des avalés (1967); Robert Fulford, This Was Expo (1968); C.H. Gervais, TISH: A Movement (1974); Jacques Godbout, Salut Galarneau! (1967); Richard Gwyn, The Northern Magus: Pierre Trudeau and Canadians (1980); Hugh Hood, Around the Mountain: Scenes from Montreal Life (1967); Hugh MacLennan, Two Solitudes (1945) and The Return of the Sphinx (1967); Mark Satin, ed., Manual for Draft-Age Immigrants to Canada (1968); Scott Symons, Place d’Armes: A Personal Narrative (1967).